Indian markets began the week on a strong note, following a surge in manufacturing activity in the month of February and rise in exports for the third consecutive month in January. The market gained momentum after a surge in Tata Motors on reports that the company had reported strong vehicle sales in February. At the end of the day, the Sensex shot up 343 points from Friday’s close to 16,773, while the Nifty closed at 5,017, up 95 points. Tomorrow we expect the market to stay up. At the end of the day, Reliance Industries Limited (RIL) rose 1% on reports of a possible acquisition of Canada’s Value Creation. Tata Motors rose 12% after the company reported that its total vehicle sales rose 58.46% to 69,427 units in February 2010 over February 2009. Welspun Gujarat Stahl Rohren gained 3%, after the company bagged overseas orders aggregating Rs600 crore for supplying pipes and plates. Shree Ashtavinayak Cine Vision declined 5%, after Dhilin H Mehta, chairman & managing director and also a promoter of the company, pledged additional 3.80 crore shares representing 4.81% stake of the firm. Everest Kanto Cylinder gained 3%, after the company won three orders aggregating $27 million to export CNG cylinders. EdServ Softsystems rose 5% after the company acquired Chennai-based e-learning firm, SmartLearn WebTV. Glenmark Generics Inc, a subsidiary of Glenmark Generics, has received ANDA approval from the United States Food and Drug Administration for Ropinirole Hydrochloride and will immediately commence marketing and distribution of the approved product. Glenmark Pharmaceuticals gained 2%. Reliance Media World’s radio division Big 92.7 FM has entered into a partnership with OnMobile Global, to launch a radio experience on the mobile platform. The stock shot up 4%. As per reports, prime minister Manmohan Singh on Monday ruled out rolling back a price hike in retail fuel prices despite pressure from his main allies, saying that populist policies would hurt the economy in the long term. He also tried to calm the fears of fuel price hike stoking inflation by saying that the direct effect on the Wholesale Price Index (WPI) will be no more than 0.4%. During trading hours, global ratings agency Moody’s Investor's Service said that the latest Budget represents a strong intention to renew fiscal discipline, which coupled with a fuel price increase announced last week are positive for its sovereign rating on India. Moody’s rates India’s local currency sovereign rating as ‘Ba2’ and assigned a positive outlook in December 2009. The manufacturing industry in February 2010 grew at its fastest pace in 20 months, expanding for the third month, thanks to expanding output and new orders, a survey showed. The HSBC Markit Purchasing Managers' Index, based on a survey of 500 companies, rose to 58.5 in February, its strongest reading since June 2008, from 57.7 in January. A reading above 50 means activity is expanding. Exports rose an annual 11.5% in January 2010 to $14.3 billion, the third consecutive rise after 13 straight months of decline, the government said. Imports rose 35.5% from a year earlier to $24.7 billion. The trade deficit stood at $10.4 billion in January compared with $5.4 billion a year earlier. Exports for April-January, the first 10 months of the 2009-10 fiscal year, were down 17.8% at $131.9 billion from the same period in the previous year. During the day, Asia’s key benchmark indices in Indonesia, South Korea, Singapore, Japan and Taiwan rose between 0.2%-1.29%. However, indices in China and Hong Kong fell between 0.48%-0.72%. According to reports, the Purchasing Managers’ Index (PMI) derived from a survey conducted by the China Federation of Logistics and Purchasing for the National Bureau of Statistics (NBS) fell to 52 in February from 55.8 in January. As per media reports, the Australian central bank raised its cash rate another quarter of a percentage point to 4%. On Monday, 1 March 2010, the Dow Jones Industrial Average gained 79 points while the S&P 500 and the Nasdaq Composite were up 11 points and 35 points respectively. The ISM reported that the manufacturing sector continued to grow in February 2010, even though it fell to 56.5 from 58.4 in January, as the gauge remained over 50. On the consumer front, personal spending rose 0.5% in January, even though income gained only 0.1%. Spending on both durable and non-durable goods was strong. According to the US commerce department, the fourth-quarter gross domestic product of the US grew at a 5.9% annual rate, rather than the 5.7% pace it estimated last month. In premarket trading, the Dow was trading 44 points higher. The Bombay Stock Exchange (BSE) on Tuesday said that its non-executive chairman Jagdish Capoor had submitted his resignation on health grounds. Mr Capoor has resigned as chairman as well as member of the Board of directors of BSE, a press release said. Mr Capoor had been contemplating leaving BSE due to his present indifferent health after a recent illness, the release said. He acted as chairman of the Board of directors of BSE from August 2005 to September 2007 and again from 25 June 2008 to 2 March 2010. He served as a member of the BSE Board of directors from 14 January 2003 to 2 March 2010. Earlier, Mr Capoor was the deputy governor of the Reserve Bank of India. While with RBI, he was the chairman of the Deposit Insurance and Credit Guarantee Corporation and Bharatiya Reserve Bank Note Mudran Ltd. He was also on the Boards of Export-Import Bank of India, National Housing Bank, National Bank for Agriculture and Rural Development and State Bank of India. Currently, Mr Capoor is chairman of India’s second largest private sector lender, HDFC Bank Ltd.
Out of the 12 financial services stocks from the Moneylife database, 11 stocks have been on an average downward trend of -18.5% from May 2009 till 26 February 2010. The only exception was Prime Securities Ltd, which gained 33% from Rs25 to Rs33.20 during the same period. Motilal Oswal Financial Services Ltd was somewhat resilient, which fell only 2% from Rs161.50 to Rs158.35, followed by H B Stockholdings Ltd, down 4% from Rs25 to Rs24.05 as on 26 February 2010. 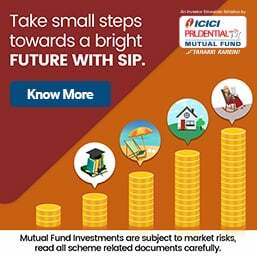 Indiabulls Financial Services Ltd plunged 54% from Rs216.55 to Rs98.55; Geojit BNP Paribas Financial Services Ltd sank 26% from Rs47.05 to Rs34.95, India Infoline Ltd (dipped 25%) from Rs151.8 to Rs114. Both J M Financial Ltd and Religare Enterprises Ltd shed 24%. During the same period, the Sensex gained 12% from 14,625.25 and closed at 16,429.55. 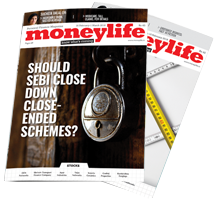 On the day of the Budget, five stocks inched up on an average of 3.4% while the remaining seven stocks in the Moneylife financial services database sank an average of 1.71%. “Some of these companies are diversifying their business model. Indiabulls is into real estate. The retail focus is not as aggressive as it used to be six-seven years back. India Infoline, Motilal Oswal and Religare have sizeable client bases now. Religare is eyeing overseas acquisitions on the backing of Ranbaxy. It recently acquired Fortis,” said Chandrashekhar Layane, vice president, Fair Wealth Financial Services. Fortis Healthworld Ltd, SRL Ranbaxy Ltd and Ran Air Services Ltd are now under the umbrella brand of Religare. “Even the revenues of these companies were not strong, but post January, they have started improving. India Infoline had stopped its margin funding business (loans against shares) but it has now again started this business. It had stopped this business for seven-eight months. Post the Budget, sentiments are good in the market. Overall, stocks will go up due to a rally in the markets,” added Mr Layane. Indiabulls Financial Services registered an operating profit of Rs85.15 crore in the December quarter of 2009 compared to Rs45.73 crore for the corresponding period last year. Edelweiss Capital Ltd posted 38% decline in its operating profit at Rs4.41 crore compared to Rs7.15 crore last year. Geojit BNP Paribas Financial Services Ltd is trading at a price-earning (P/E) ratio of 15.72 as on 10 February from 184.49 in March 2009. India Infoline is trading at a P/E ratio of 15.64 as on 10 February from 92.88 during the same period while Religare Enterprises Ltd is at -269.30 P/E from 151.15. Religare posted a net loss of Rs4.41 crore in its December quarter results from a net profit of Rs5.82 crore for the corresponding period last year. Religare Enterprises posted an operating profit of Rs8.58 crore (in the December quarter of 2009) from Rs5.92 crore in the same period last year, while India Infoline registered a 160% growth in operating profit at Rs88.73 crore in its December 2009 quarter from Rs34.15 crore in the same period last year. Similarly, JM Financial Ltd posted an operating profit of Rs9.63 crore in its December 2009 quarter results from Rs8.47 crore last year. JM’s P/E is at 626.77 from 187.82 in March 2009.